"We want to reach mass audiences across Pakistan because the film tells the story of every household," says Mazhar Zaidi, the producer of the film. Pakistani feature film Zinda Bhaag has been slated for release in early September, a statement from the film’s promoter said on Wednesday. The film stars veteran Indian actor Naseeruddin Shah among other actors and has already caused a stir amongst cine lovers with an eye catching trailer. 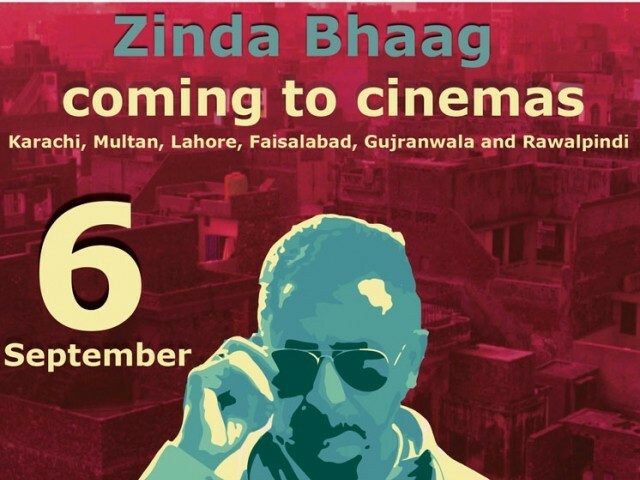 The release said that Zinda Bhaag will be released on Defence Day, September 6 at screens across Pakistan including in multiplex and single screen cinemas in Karachi, Lahore, Multan, Faisalabad, Gujranwala and Rawalpindi. “We want to reach mass audiences across Pakistan because the film tells the story of every household,” Mazhar Zaidi, the producer of the film said. Actor Naseeruddin Shah has been full of praise about the project. Apart from Shah there is a flurry of fresh faces including Amna Ilyas, Khurram Patras, Salman Ahmed Khan and Zhoib. Music for the film has been prepared by a star-studded lineup that features Sahir Ali Bagga as composer alongside Rahat Fateh Ali Khan, Abrarul Haq, Arif Lohar and Amanat Ali.